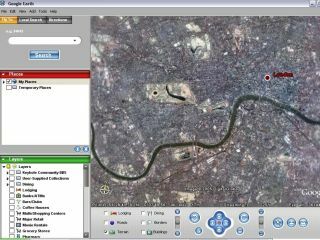 The British government is looking at ways of making all of its Ordnance Survey maps freely available online. Prime Minister Gordon Brown announced the move this week at an event alongside the government's new 'information tsar' web inventor Sir Tim Berners-Lee. The government has been inspired by the success of crime mapping where "data openness" is helping citizens assess the safety of geographical areas. Chief Secretary to the Treasury, Liam Byrne, is set to make a speech next week looking at the other various ways in which freeing up of government data might lead to a "smarter state". Unionised Ordnance Survey staff are seemingly the only ones unhappy about Gordon Brown's latest pledge, claiming that it was in "complete contradiction with the OS's own plans to explore commercial opportunities and find new ways of raising revenue". The groundbreaking move is a result of the Guardian's superb Free Our Data campaign to try to bring the UK in line with similar policies in the US regarding free access to mapping data. The Free Our Data campaign is driven by one overriding objective – for the UK government to "abandon copyright on essential national data, making it freely available to anyone, while keeping the crucial task of collecting that data in the hands of taxpayer-funded agencies".